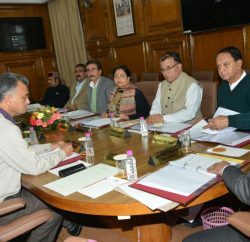 Health and Family Welfare Minister Kaul Singh Thakur meets Union Minister for Commerce and Industries Anand Sharma at New Delhi and urged for reviving the industrial package for the State as it would help in strengthening the State’s economy besides attracting the entrepreneurs to set up industrial units in the State as they were being provided various facilities. He said that there was un-interrupted and sufficient power supply which was prerequisite for setting up and running industrial units. 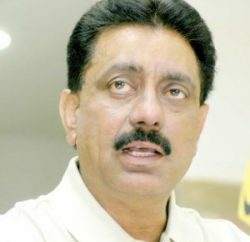 Kaul Singh Thakur also met Union Minister for Urban Development Kamal Nath and urged him for clearing the schemes pending with Government of India. The major schemes includes, Lift Water Supply Scheme for Shimla town from Kol Dam reservoir on Satluj river to be constructed at a cost of Rs. 515.89 crore, Lift Water Supply Scheme of Rs. 75 crore for Nahan town in district Sirmaur, Rs. 20.85 crore Detailed Project Report, lying with Government of India for improvement of Water Supply Scheme of Dharamshala town in district Kangra and augmentation of Mandi Water Supply Scheme from Uhal River. He urged for approving more than 20 DPRs of various developmental projects which were under consideration of Government of India. Union Ministers assured Kaul Singh Thakur that the demands of the State would be considered sympathetically.